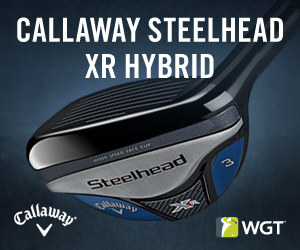 See what's new today on WGT, including the latest virtual golf clubs from Callaway and TaylorMade! 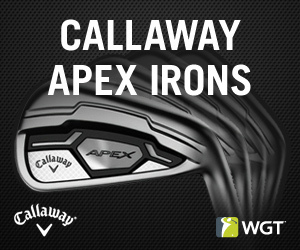 These new Apex Irons from Callaway provide more distance, better precision and a higher launch angle to help lower your scores. Unlocks at Level 64 and Level 100. 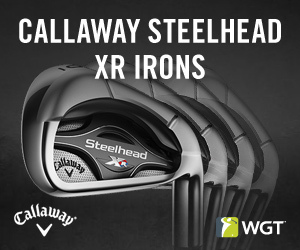 The new Steelhead XR Irons have all the control you need for more precise shots, more forgiveness and better speed. They unlock in the WGT Pro Shop at Level 52, Level 85 and Level 97. The Big Bertha is back for high level players! Get more forgiveness on all your shots and higher launch for longer distance. Get the new Fusion 3 Wood, unlocking at Level 51, Level 86 and Level 99. Does your putt game need some improvement? 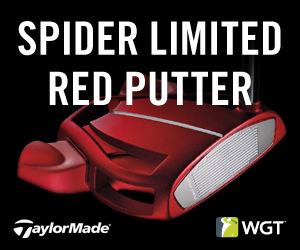 Get more precision, forgiveness and better balance on your putts with the newest putter from TaylorMade. Plus, high-level players have the option of choosing between the M1 and M2 clubs, featuring different meter increments, to better fit their style of play. The time has come for Nike clubs to enter the archives. Nike virtual golf clubs are no longer available in the WGT Pro Shop, but if you've purchased Nike clubs in the game they will remain in your inventory. Multiplayer Timeouts - The creator of a multiplayer match can now control the number of Shot Clock timeouts that are allowed before a game ends. Country Club Tournament Notifications - A new message will appear for all country club members when a new tournament has been published for their country club, so no one misses out on the fun! Stand Bag Plus - We've fixed an issue where some players were unable to save a newly equipped putter to their Stand Bag. Putt Preview - Fixed an issue where the putting grid wouldn't reappear after a player used the Putt Preview feature. CC Owner Image - Fixed a display issue where a previous country club owner's profile picture was shown instead of the new owner. Happy Friday! We're excited for the weekend, and we hope you are too, so we're celebrating with free MAX balls on WGT through tomorrow. 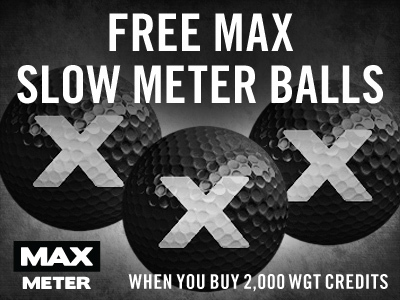 Today and tomorrow, get 3 free MAX Slow Meter virtual golf balls when you buy 2,000 or more WGT Credits in the game. These are some of our most popular virtual golf balls, giving you good overall distance and a slower WGT swing meter to improve your shots and lower your scores. Use your WGT Credits to upgrade your virtual equipment and compete in paid games for prizes. Just buy 2,000 or more WGT Credits today through tomorrow (1/27/17-1/28/17) on WGT Golf, and get 3 MAX Slow Meter virtual golf balls (Hack+). 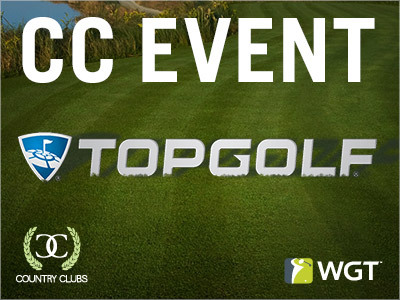 This month marks the one year anniversary of WGT joining the Topgolf family, so we're celebrating this week with CC Event #40 featuring Topgolf tees and flags! Today and tomorrow, compete against other clubs for fun and in-game rewards, including these special new tee markers and flags, plus the top 500 clubs will also receive Course Builder currency for custom courses. CC Event #40 runs 1/26-1/27, with multiple 4-hour Clashes, so be sure to play as many games as you can for your club and keep your eyes on the leaderboard. This week's WGT 19th Hole player was selected because he consistently sends in nominees for the WGT 19th Hole, so we thought, "Why not feature him?" 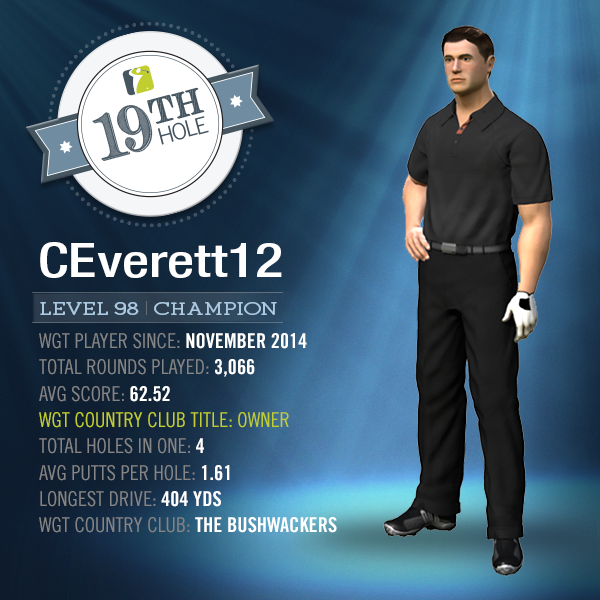 CEverett12 is a dedicated WGT Country Club owner that prides himself on helping players and running The Bushwackers country club. CEverett12 aka Casey stumbled upon WGT on Facebook back in November 2014 and says, "I found WGT and thought I would play a hole or two, boy I was wrong... I was hooked right away. The graphics are fantastic...I never expected to meet anyone or make any friends and boy, I was wrong again. I have met many good folks and made some friends, WGT is not just a great game but also a place you can socialize with good people." With over 600 consecutive days played, CEverett12 has helped many players and says respect is what drives his generosity. "My big thing is respect! Respect the game, yourself and others...The Bushwacker motto is Honor, Dignity & Respect." Outside of WGT, CEverett12 enjoys spending time with his father and enjoying the company of his two grown children. What advice do you have for players new to WGT? "My advice to others on WGT would be this - Send someone a gift. Help someone less fortunate than yourself and do what you can to help others. Also, be kind, say hello and thank you." What equipment do you keep in your virtual golf bag? Thanks so much for being part of the WGT Community and sharing your story! 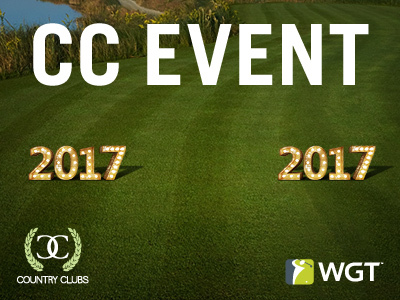 Start 2017 strong by competing with your country club in CC Event #39, going on NOW through Fri, 1/13. Play this week's CC Event, featuring new year "2017" tee markers and flags, to compete against other country clubs and move up the leaderboard for in-game rewards. Plus, the top 500 clubs will also receive Course Builder currency for their club! CC Event #39 runs 1/12-1/13, with multiple 4-hour Clashes, so be sure to play as many games as you can for your club and keep your eyes on the leaderboard.